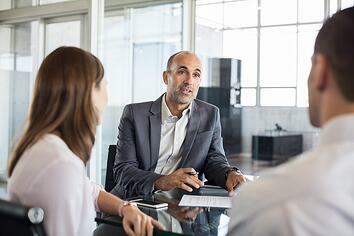 What is it that you are hoping to achieve once you hire a financial advisor? Are you hoping to build up your investment portfolio? Do you need help navigating the road to retirement? Is your financial situation complex and you are just needing some help sorting through it all? Whatever your needs may be, you need to find an advisor who will be able to help with your specific needs. You can either find an advisor who has expertise in one specific area or across multiple areas. Depending on the type of advisor you select, you may have varying amounts of fees you’ll have to pay. Some advisors only charge hourly fees while some work on commission and sometimes, it’s a combination of both. Be sure to ask any advisors you speak to how you will be charged for their services and what their pay structure is. HOW LONG WILL YOU NEED THEM? The last thing you want is to pay for services that you are not using. If you only have short term needs for an advisor, you should look into hourly consultations. Once you tell the advisor what you will need them for, they will usually be able to give you an estimate on how much time and money it will take to achieve your goals.